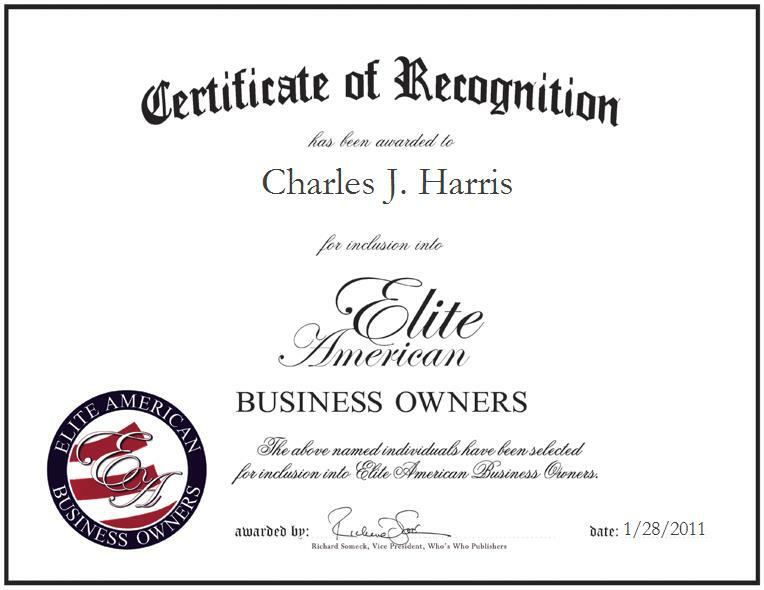 Clinton, Oklahoma, January 28, 2011, Charles Harris, Owner of CDL Construction LLC, has been recognized by Elite American Business Owners for dedication, achievements, and leadership in oil field production, trucking and dirt work. With 36 years of experience in the oilfield industry, Mr. Harris is a dedicated entrepreneur with encompassing knowledge and a determined work ethic. His professional journey began after his high school graduation; interested in the booming industry, he established himself as a roustabout and progressed to the role of lease operator. Mr. Harris refined an expertise in production management and dirt work, which led to a position as production foreman for a prominent oil company in western Oklahoma. Eleven years ago, he gathered the trades he acquired throughout his tenure to establish an oil field construction company, CDL Construction LLC. CDL Construction LLC provides construction services to oil field projects across 16 states (Oklahoma, Arkansas, Colorado, Illinois, Kansas, Louisiana, Nebraska, Montana, Texas, Utah, Pennsylvania, North Dakota, South Dakota, Ohio, Indiana, and Wyoming). The company facilitates sites by hauling dirt, pipe and production units, and building compressor stations, tank batteries, and saltwater units. Moreover, it provides services specific to each project to ensure every aspect is operated safely and efficiently. As owner, Mr. Harris is responsible for managing all aspects of the business. A hands-on professional, he is often seen working alongside his team in the field. In recognition of his vocational excellence, Mr. Harris was named Businessman of the Year by the Republican National Committee, and Professional of the Year representing oil field construction management by Cambridge Who’s Who. The recipient of a corporate sponsor award, Mr. Harris intends to develop his business in the coming years.